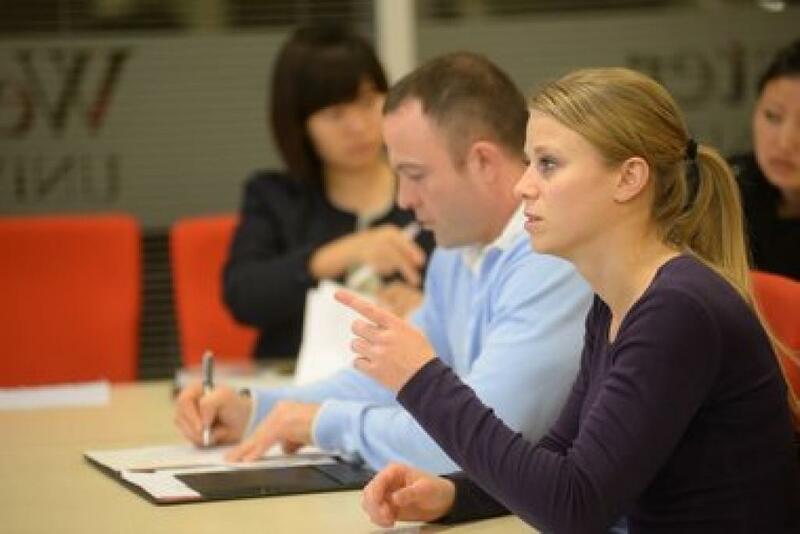 At Webster Leiden Campus we understand that completing an MBA is challenging. It makes demands on you, your family and your career. That is why, in today's action-oriented business environment, Webster's MBA program offers maximum flexibility. No other degree gives you such a broad overview of business across all functional disciplines. No other degree prepares you better for entrepreneurship. Webster's MBA offers unique networking opportunities with professors and fellow students from around the globe. At Webster Leiden Campus, we have been offering part-time graduate programs specially designed to meet the needs of the working professional for half a century. Our programs are practical, innovative and flexible - tailored to fit comfortably into your busy schedule. Courses can be taken online in Webster University's World Class Room, or on campus in Leiden. The degree requires satisfactory completion of 36 credit hours/ 12 courses after completion of the Pre-MBA courses. In addition to the ten core MBA classes, students must also take two electives to be chosen from the other Webster course offerings in Business, Finance, International Business, Management or Marketing. In addition to the basic MBA, students may focus on an area of special emphasis instead of choosing electives, giving the student an extra edge and expanded knowledge in a specific area of study. MBA students may earn an emphasis in the following areas: Finance, International Relations, Management and Leadership and Media Communications. MBA students will be charged a tuition fee of €2,400 per 3-credit hour course. The complete MBA program has 12 courses and 3 prerequisite MBA courses. Depending on the student’s background, up to three pre-MBA courses and/or a graduate English language writing course may also be required. The costs for pre-MBA courses are €2,400 per course.